Nicholas Struckman (left) and Ayden Alderman (right) are two incredible people who are the namesakes of The MONARCH TRAIN. Nicholas Struckman was one of the kindest, most intelligent people you could ever hope to meet. Those who were able to know him during his short time on earth realize how fortunate they were. He had an empathetic heart, a compassionate soul, and a pure love of music. He truly believed that music had the power to change the world. He took guitar lessons and dabbled in writing, before his life was cut far too short just three weeks before his twentieth birthday. 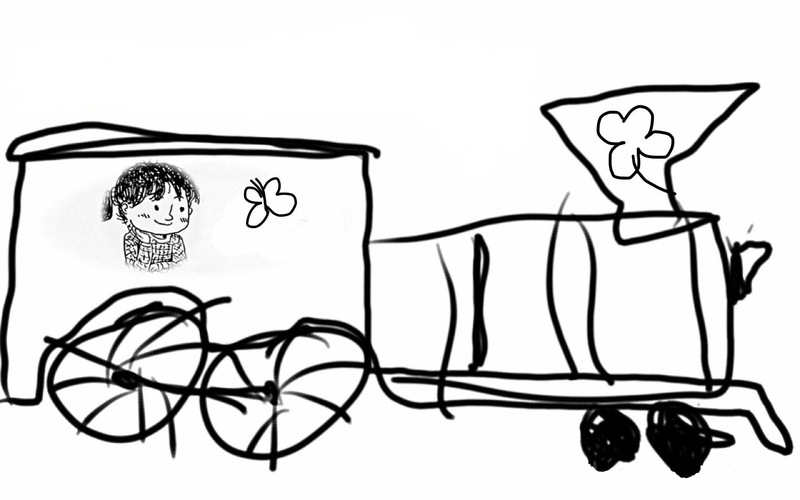 Melody’s hope (our founder), is that his dreams will be carried forward through the important work of The MONARCH TRAIN. Ayden Alderman is an 11-year-old boy who wants to change the world. At a very young age, he would walk around complimenting strangers on the street. When his mom Melody (our founder), asked him what he was doing, he explained that he was simply filling up people’s buckets. He said that people have invisible buckets over their heads that carry all of their happiness. Some people’s buckets look like they are really empty so Ayden hopes that by saying something kind to them, their bucket will fill up a little more. The MONARCH TRAIN hopes to hold itself to Ayden’s standards by filling up an endless amount of buckets in our community and beyond.